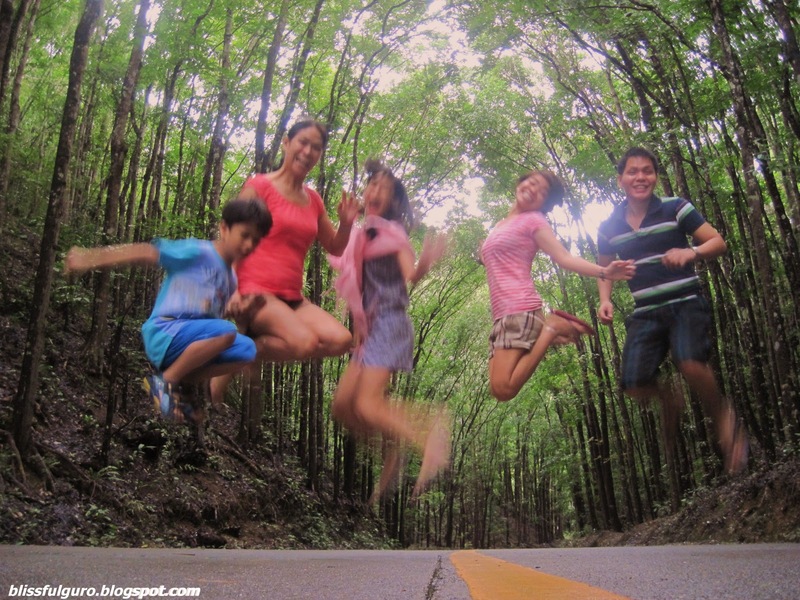 Our third spot in our Bohol countryside tour is the Man-made Forest. When we went to the Chocolate Hills, we passed by the Mahogany trees along the highway. 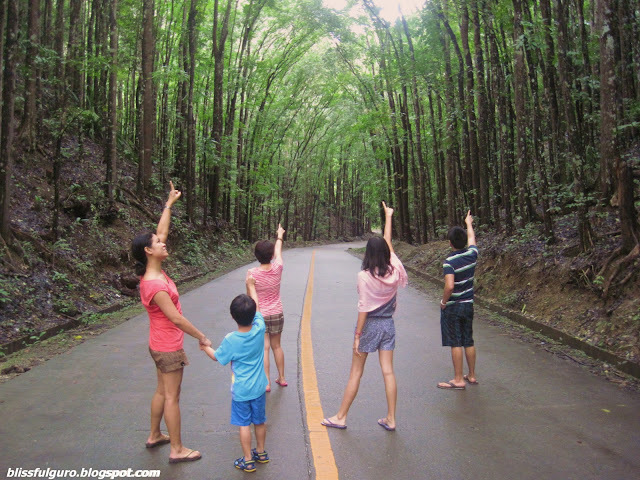 Kuya tatsky told us that it's the man-made forest. 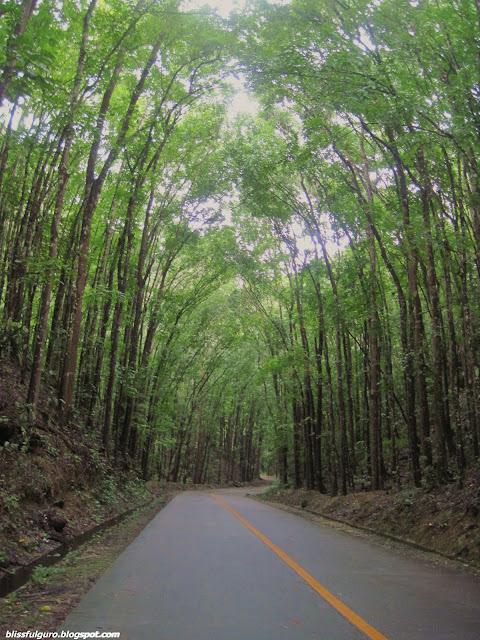 All the while I thought that the man-made forest is really a forest where you can go trek and stuff. But it's not. 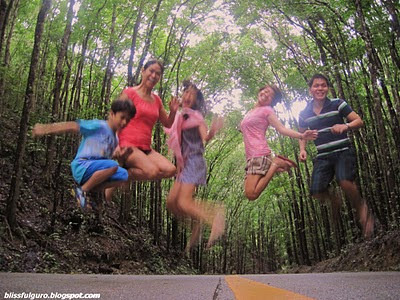 So after Butterfly Center experience, around 11:45 a.m., we purposely went to the man-made forest. It's a long stretch of Mahogany trees and a defense for flood and erosion as the roots of these trees hold the soil. When we reached the highway, there were many tourists in the said area. Kuya chose a certain spot wherein we can see cars and motorcycles in both directions. It's free because it's just along the main highway of the province. 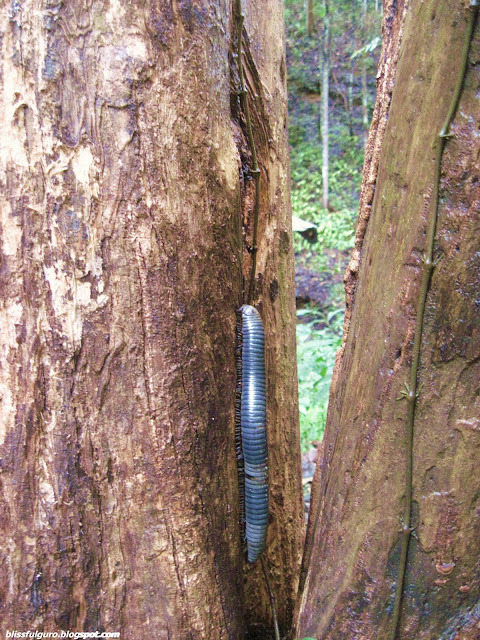 He asked us if we've already seen a big worm. I said how big is "big"? And when we saw it. Gawd! It's REALLY big!hahaha. I touched it and it's like a bigger and harder version of a caterpillar. And it's everywhere. 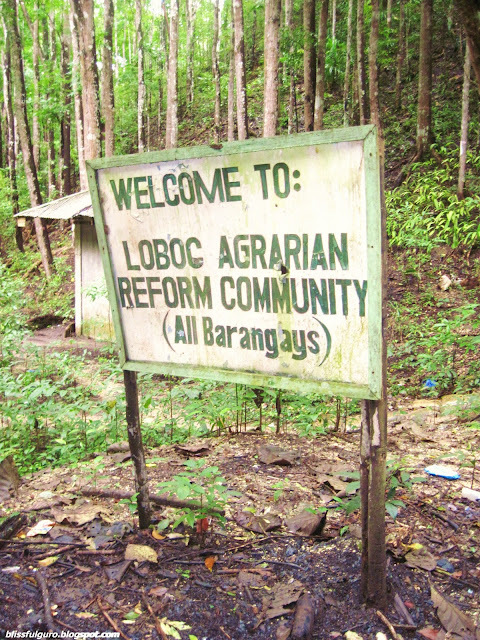 It's not a pest 'coz it serves as a cultivator for the soil (just like the worms in our gardens). The first thing you'll notice in the man-made forest is the cool and shady atmosphere in the area. There's serenity in it. Even if it's located in a highway, there's adventure into it. It's the picture taking. Of course, the area should be clear from all types of motor vehicle. Kuya is so good on this that he can hear cars and motorcycles from both sides. And when it's already clear, you have to pose and take photos FAST. It took us a while because of the vehicles. It's a thrilling and exciting experience as your heart pounds so hard while you're posing. But we did it!and we have several photos and jump shots.